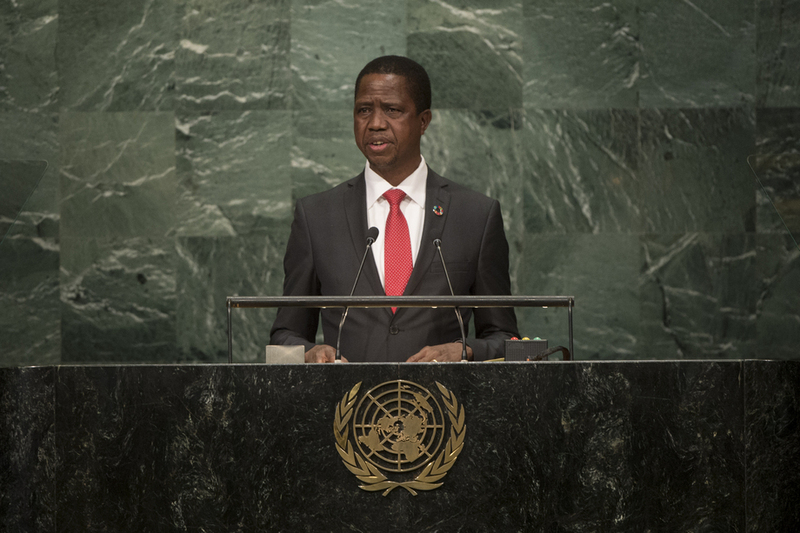 EDGAR CHAGWA LUNGU, President of Zambia, said that the international community had come together at an important time as Member States started the implementation of the new development agenda. He expressed his appreciation for the obvious synergies between the 2030 Agenda adopted by the United Nations and “Agenda 2063: The Africa We Want”. The new development Goals represented a clear demonstration of the commitment of the international community to achieve a better world for all. His Government attached great importance to the Sustainable Development Goals, he continued, stressing that in that context the eradication of poverty was of utmost importance to achieving meaningful development for all. Least developed countries deserved more attention because of their vulnerability. Measures to bring about positive economic transformation should include the development of value-chain clusters, diversification in agriculture, promotion of forestry and the establishment of multi-facility economic zones and industrial parks. He presented the measures his Government had taken to achieve economic development and to advance small- and medium-size enterprises in particular. Those measures were supported by the seventh five-year National Development Plan. Noting that Zambia was currently addressing various challenges, including unemployment, appropriate infrastructure, climate change, access to health services and gender equality, he also highlighted the importance of inclusivity and democracy. It was critical that the international community justly recognize the role of African countries, he stressed, calling for reform of the United Nations, including adequate permanent representation of his continent on the Security Council for effective global governance and the maintenance of peace and security.